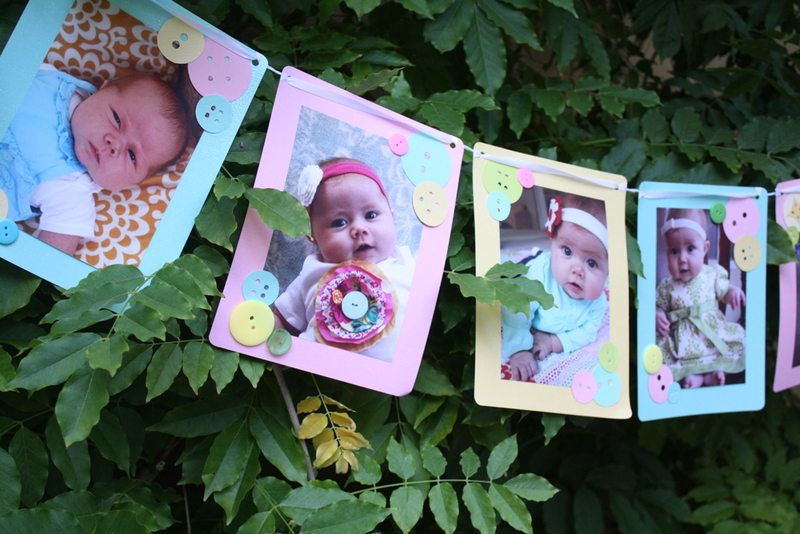 First off, the monthly picture banner-just some simple scrap-booking paper, ribbon, and homemade-looking handmade paper buttons. 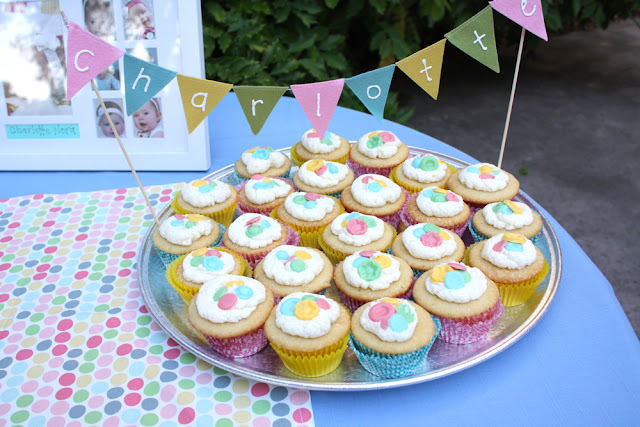 I got my cupcake liners here, and made the little banner by sewing together some little felt triangles, gluing the ends to two bbq skewers, and puff painting Charlotte’s name on them. This was a last minute decoration and I love how it turned out! Balloons. (the green one in the back must have had too much slushie to drink.) Yes, we had a slushie machine! 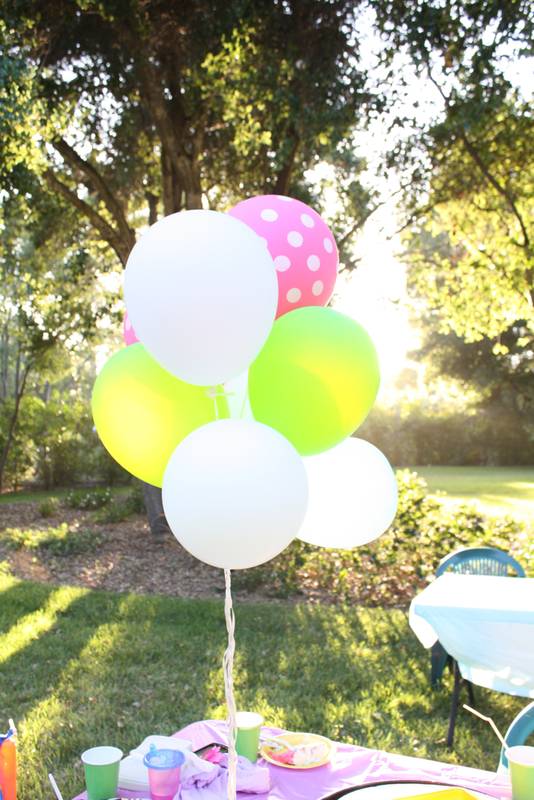 Back to the tables…I made these little wooden button balloon weights literally 2 days before the party….thought them up, called my dad for the green light, drove over to his garage wood shop, and had them cut out and first coat of paint on in an hour. Did I mention my dad is awesome? Thanks for the help Daddio. Aren’t they flippin’ cute? 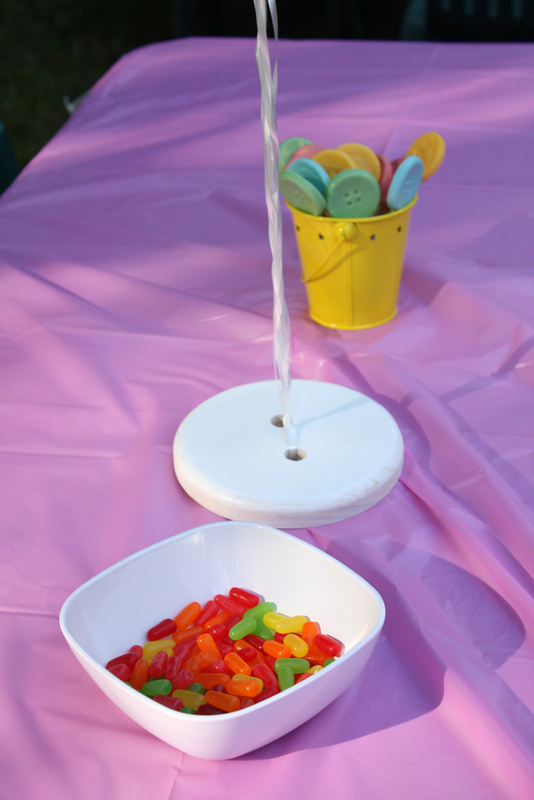 Continuing the list of fun but unnecessary things to make for the party, I made some button lollipops! I used this mold. For these and the little buttons I used the Wilton melting chocolate you can get at Michaels or Joanns. YUm! They were a big hit among the kiddos! 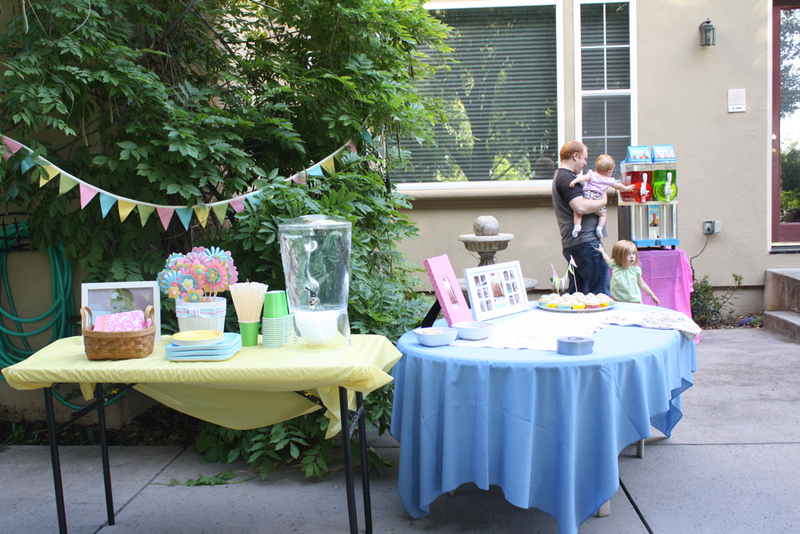 Here’s a view of the food table set up, pre-food…and the slushies pre-freeze. 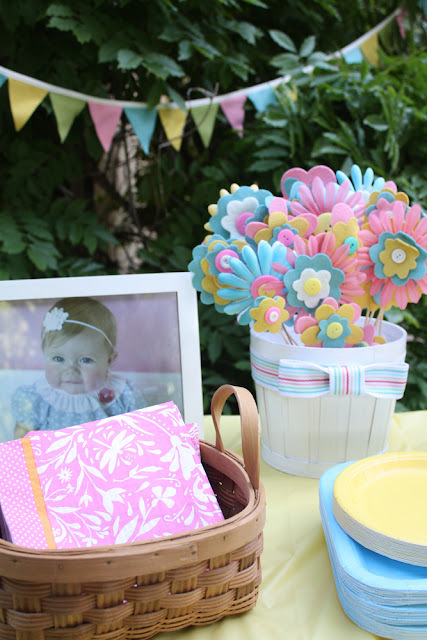 I thrifted the white basket and belt…and glued it around the basket with a fun bow! Notice one of Ela’s pictures! (she was kind enough to send one so I could print it off! )Also you’ll notice a felt banner that I made with no plans but we hung it in the wisteria bush tree ginormous plant. Make it work! 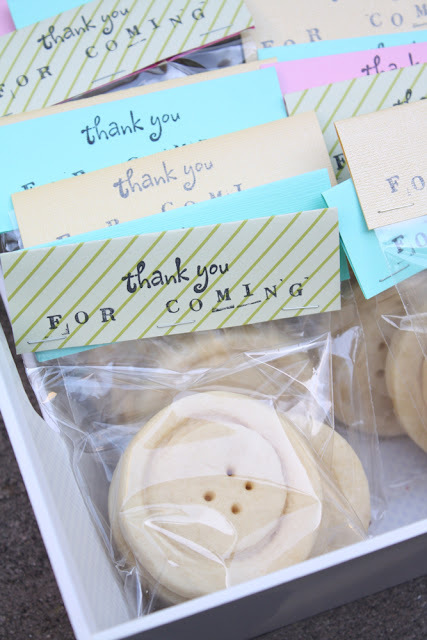 The favors were some tasty button sugar cookies! I made them with a biscuit cutter, dolly bottle lid (no joke, lol), and a bamboo skewer. Obviously I was not going for perfection, but I think it makes them charming! Then I packaged them up in some cello bags and cute homemade looking handmade labels. These were also a hit with the kiddos. Pretty much anything with sugar usually is. The cake. Tada! This cake was probably the easiest birthday cake I’ve made. It was frosted and decorated in a bout 20 minutes. I copied these awesome ladies. 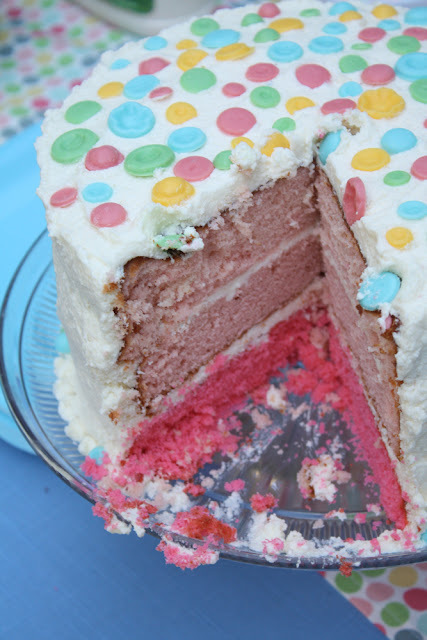 Everyone raved about the cake and frosting, which are amazing recipes and make you feel like a baking superstar! Charlotte LOVED when we sung Happy Birthday to her-look at that big grin! love. Huh Daddy? You’re gonna blow the candles out? Ok, I’ll just grab a bit of frosting while you’re occupied…. 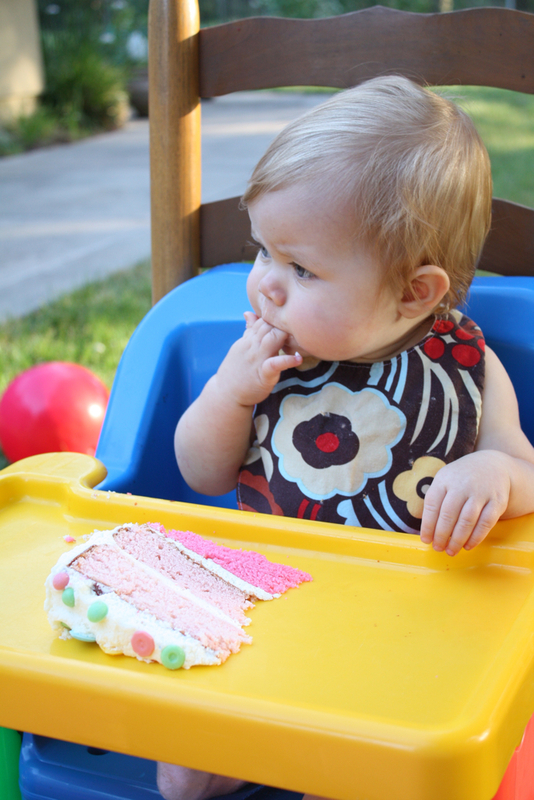 I was SOO hoping for a messy cake eater, but nope…she’s just like her sister. A dainty eater. …and also climbing all over her presents. 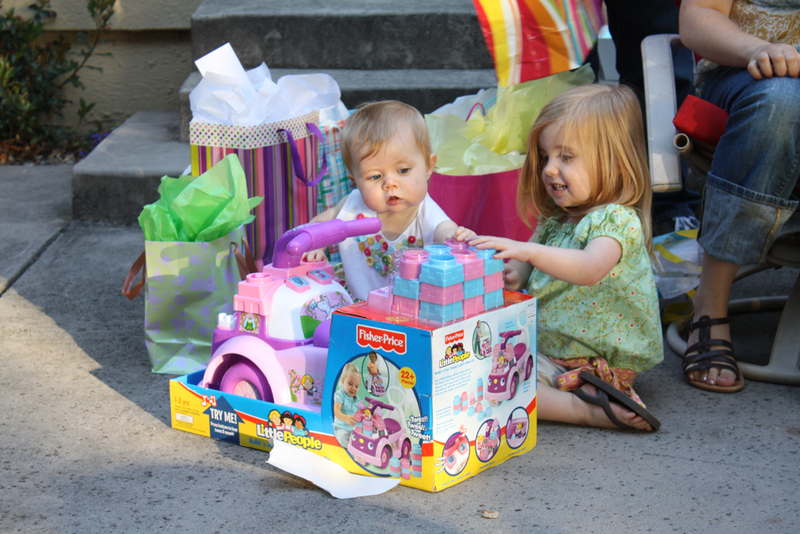 Which, resulted in a little tumble…and crying, so Sadie gladly took over the present opening duties. It was a gorgeous summer night and I think everyone had a lovely time, at least, I hope so! 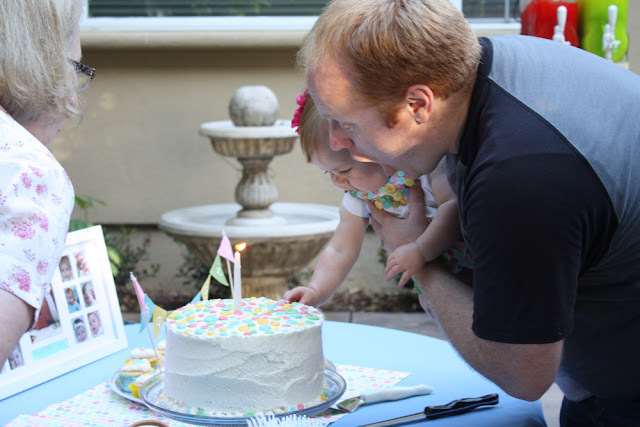 We sure did, and enjoyed celebrating our awesome little fantastic girl. 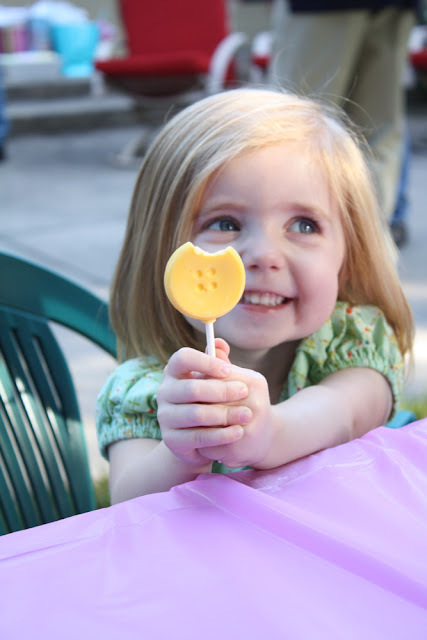 I like the button-like lollipops most 🙂 but all the decor is just adorable and so are your daughters. Such a fun, fun party! I love all the little details. What a fun and crafty mommy you are! Happy (late)Birthday, Charlotte! Wonderful! Love your theme (haha of course!) & all the details and LOVE Charlotte’s dress – absolutely gorgeous…you are an inspiration! Mine should be like yours. You made an excellent job! so so cute! Love the theme! Looks so cute. 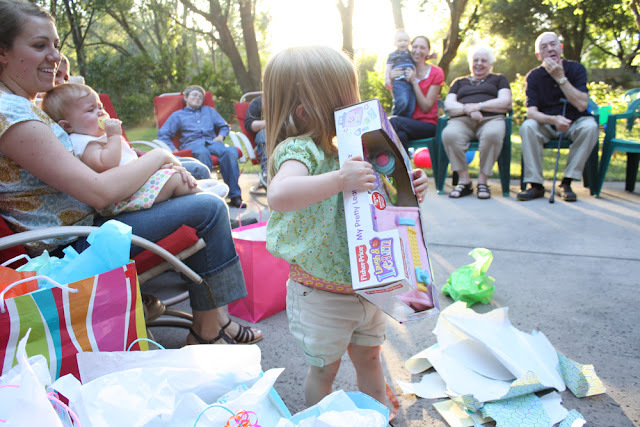 What a lovely party you created for you little girl. Love all the little details. Oh my goodness, what a CUTE party! I love her little button dress. Your kids are adorable. Thanks for sharing this. 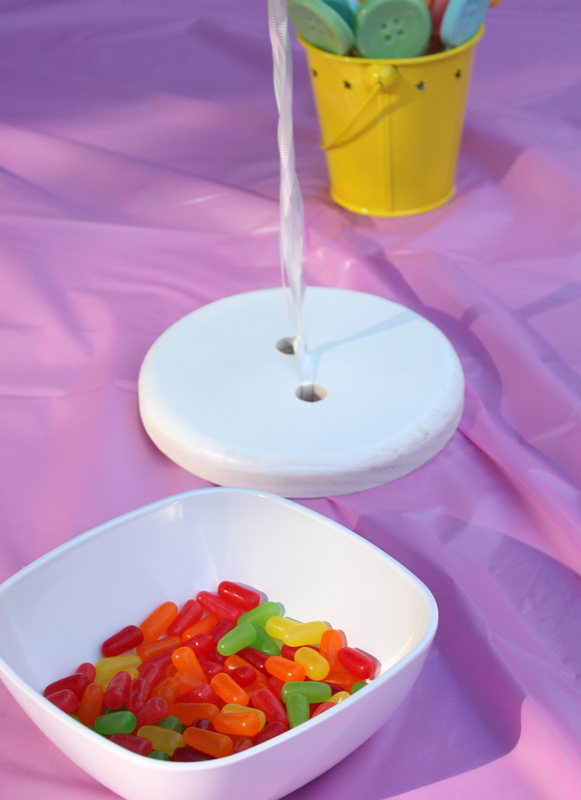 Those balloon weights are a terrific idea! I’m going to pin that 🙂 And what a cutie-patootie Charlotte is! Very fun! Love the colors and all the little button details. Nice work! Awww! Such a wonderful party! Great job on all the details! 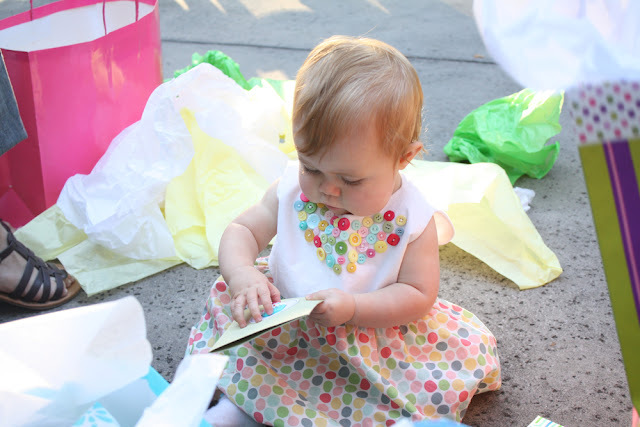 Stowing this idea away for my baby girl’s first birthday. I adore your button dress!!! I may have to completely steal your idea. How adorable!!!!! Seriously, what a flipping cute idea! And those cheeks! Never enough cheeks!!! I’ve been looking forward to seeing what you did for the party, and you did not disappoint! Adoreable!!! Everything is just adorable! you did a great job. You are very blessed. Enjoy your precious family. Wow – I am utterly impressed. I’m a birthday details fail most of the time – but posts like this one inspire me to try to do a better job. Ca-ute! It’s official…her party was nicer than every birthday party I’ve ever had in my life (even if you combine them). I am so impressed at all the details that you put together and that you made so many of the special items that you used. You are amazing!! So here is where I tell you to stop being so creative and making me look like a lame mom! 🙂 We have yet to do any sort of fun party for our girls… because I just don’t want to plan it! LAME mom alert! 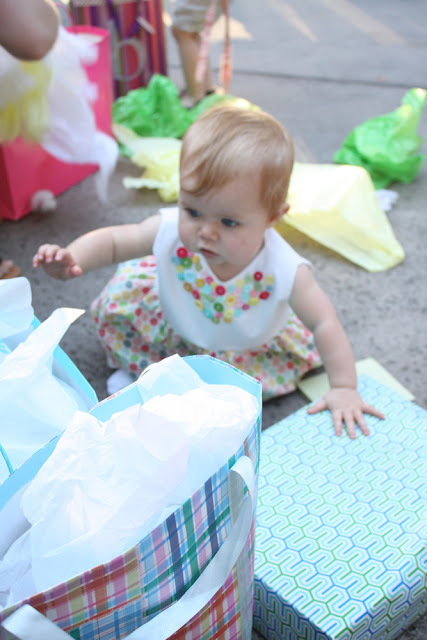 I love every detail of C’s party though. Absolutely charming. jess, the details are so fabulous! I love this party! way to go, friend. Looks and sounds like a fantastic party! Lovely theme! LOOVE her party! It’s so precious! Bet you all slept well after that party! What a lot of planning, and what a tremendous success it sounds to have been. Happy Birthday and many more to come! That was one of the most fabulous parties I’ve ever seen. You really put a lot of thought and love it to the party. Thanks for sharing all the great links. I can’t wait to try the cake and frosting recipes. Oh I love it. 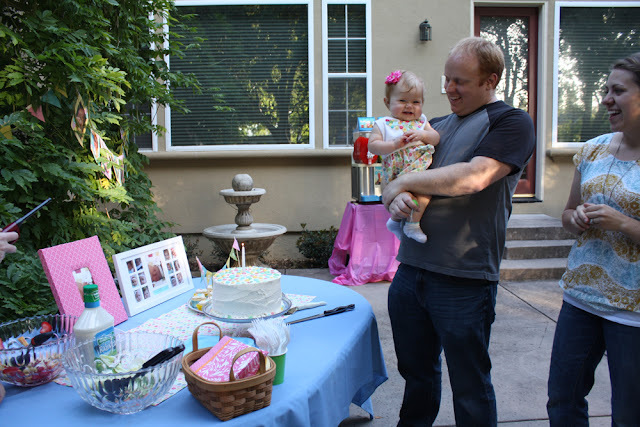 I was going to do cute as a button for Zoe’s 2nd birthday, but my husband didn’t like it. We went with dogs. I adore all the heartfelt details you included in this party! 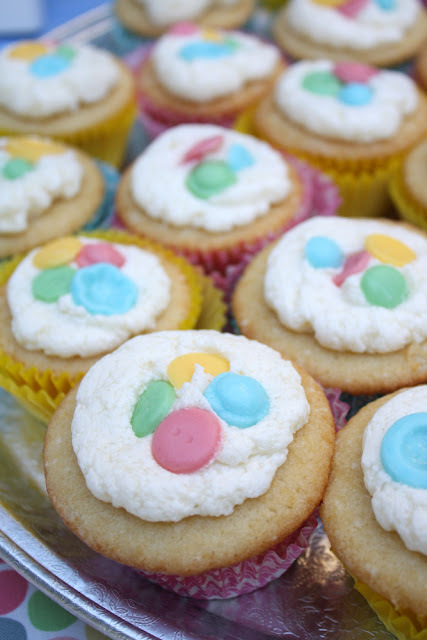 The treat bag labels are precious…and I love the chocolate buttons that you made for the tops of the cupcakes!!! Well done!! What an ADORABLE party theme! I especially love the cake! GREAT job! 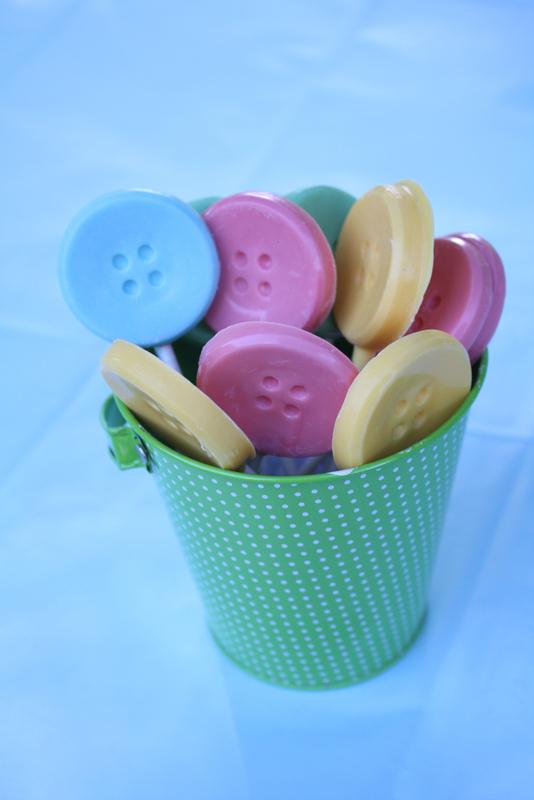 I saw the chocolate button molds a few years ago and wanted to do a ‘cute as a button’ party for when Ezra turned one (he is now 2.5 yrs old) but I never did. Wah-wah. I am glad you did though. Everything looks perfect! Happy birthday beautiful Charlotte! She’s so adorable especially in that dress and you are so creative! Congratulations on a great party. OK….you are so freakin’ adorable. That party looked sooo precious and fun. Charlotte? Her photos made me drool. I really wanted to kiss those cheeks. What a wonderful party. I enjoyed reading it. Nice idea with the buttons, so cute. you’re so creative….. everything looks perfect…and so cute..
What a perfect party theme! WOW! You did such an amazing job!! Thanks for sharing with us. Such a darling, darling party! I LOVE Charlotte’s little outfit–the buttons are to die for on her top. What fun! its kind of disgusting how far behind on my feed reader I keep getting, happy belated birthday to Charlotte and EEE SUCH A CUTE PARTY. I love the attention to detail! Everything is cute… AS A BUTTON. (no, I can’t be sick of that joke, it won’t happen.) 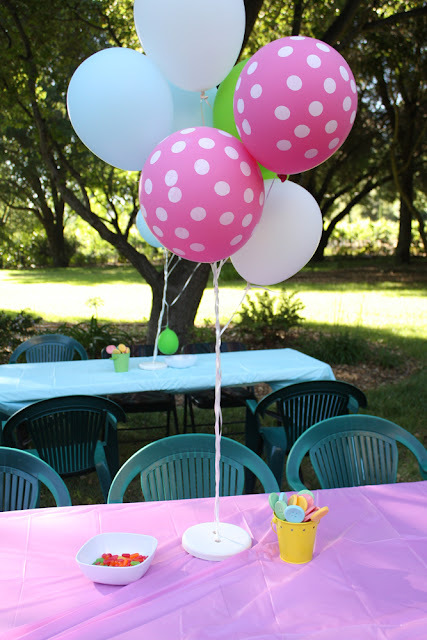 I’m totally saving this to my party inspiration board on pinterest… so cuuute. Oh my gosh Jess, this party is amazing!! 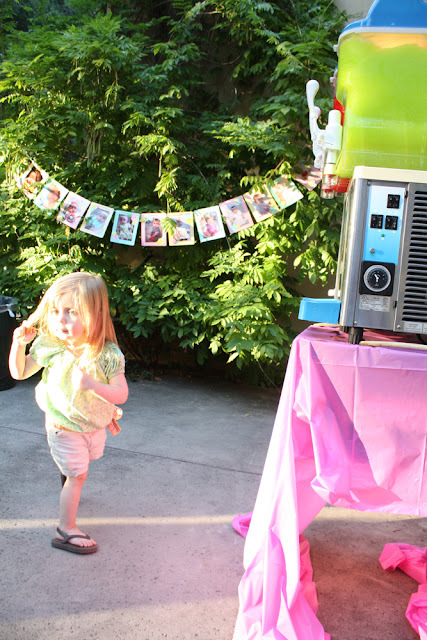 What lucky little girls to have such an amazing crafty mommy who throws them such awesome parties! Wow, thanks for the inspiration! Hello. Very cute party. I am also doing the “cute as a button” for my daughter Sutton’s first birthday. I have most the details worked out but i cant find invitations that i really like. did you order yours from somewhere or did you make them? I am lame and use Evite.com-I would just rather spend the invite money on the party and most of the people we invite prefer to RSVP that way. 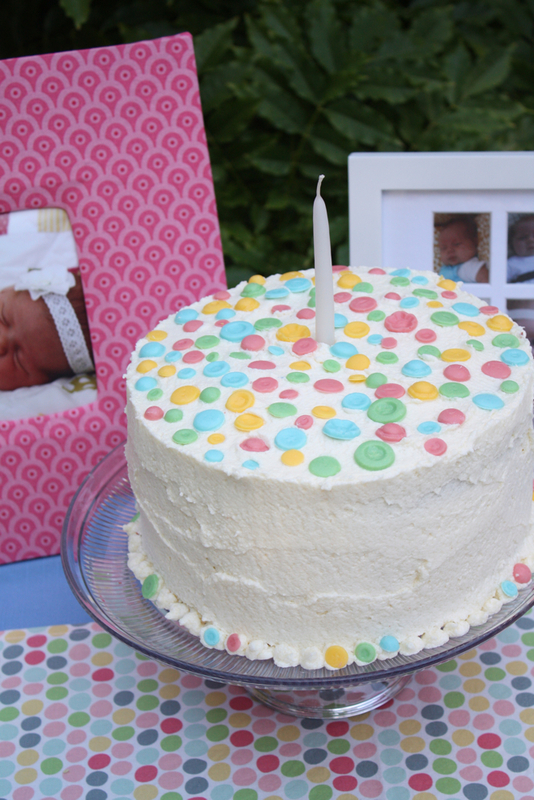 This is such a cute first birthday idea! You have so many creative, yet easy to do ideas.